All these rumours can go to bed now. It’s officially announced that Kanye Westand Kim Kardashian are expecting their third child. The confirmation comes after the trailer release for the Jenner and Kardashian’s newest season of their hit show Keeping Up With The Kardashians. Among all the craziness that season 14 will offer such as the family smashing cake in each other’s faces, helping Rob get through Blac Chyna baby drama, pushing each other in pools and chronicling each others dating lives, it will also see the reveal that Kim gives to her sister Khloe over Facetime. The baby is rumoured to be due January 2018. 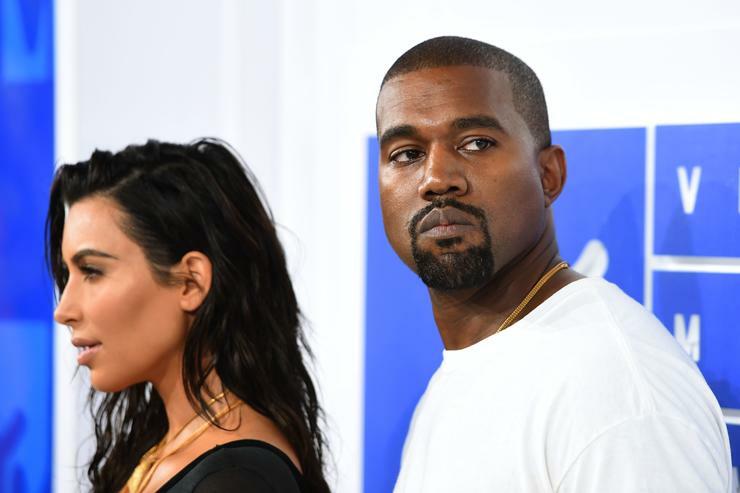 We reported not too long ago that Kim and Kanye enlisted the help of a surrogate in order to make the pregnancy work, due to some health scares during the birth of Saint West, making Kim carrying anymore children potentially life-threatening. Sources had told TMZ that the surrogate carrying the child was an African-American woman in her 20s. She’s apparently a mother of two children already, making labour and birth something she knows a bit about. The woman who is carrying the future media mogul is said to have a strict set of rules. She has a ban on smoking, drinking and using drugs during the pregnancy, as well as avoiding hot tubs or saunas, handling or changing any cat litter, applying hair dye, consuming more than one caffeinated beverage per day or eating raw fish. Kim and Kanye are already parents to four-year-old North and one-year-old Saint. Kanye won’t be running his YEEZY show this year at Paris Fashion Week. A photo of an alleged invite was shared to Instagram, but the rappers representative confirmed that it will not be taking place. In June it was rumoured that he was to unveil season 6 of his brand at NYFW, but nothing came of it. “Once again, CFDA was not approached or consulted about the possibility Kanye West showing on the official New York Fashion Week Schedule,” CFDA president Steven Kolb said at the time, referencing last year’s unscheduled show.